Yayasan NLR Indonesia is a national foundation, member of NLR Alliance. NLR Indonesia's main programs are leprosy control, prevention of disability, inclusive development for persons with disabilities, and cross cutting interventions on reducing stigma and discrimination for people affected by leprosy and persons with disabilities.. NLR Indonesia’s approaches are capacity building, awareness raising, lobby and advocacy and piloting innovative approaches and building networks. 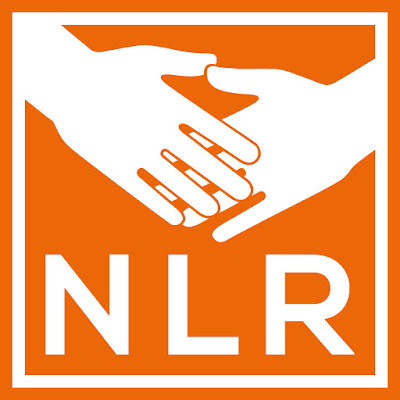 NLR Indonesia partners with disabled people organizations, civil society organizations, educational institutions, as well as local governments and ministries / government institutions. The Fundraising Officer’s key responsibility is to ensure a cost effective ethical and sustainable fundraising base to meet the needs of NLR Indonesia. It will contribute to the overall strategic management of the organization and shall lead. Conceptualize and develop institutional fundraising strategy for NLR Indonesia. Network and collaborate with Government, Institutions, NGOs, and corporates with funding perspective, nationally and internationally. Establish and cultivate close relationships with government/corporates/institutions, responding to their requests, updating them about the work of the organization. Identify potential donors nationally and internationally and conduct research on the prospective donors. Develop quality concept notes, tailored funding proposals, liaising with the program and finance department to develop detailed project proposals & budgets, for submission to Institutional/corporate/Government funding agencies. Participate in institutional donor meetings as necessary. Ensure that NLR Indonesia is visible in technical working groups and motivate staff to attend. Prepare specific project-based reports for submission to donors. Review grant agreements, including initial review, feedback to donors and amendments. MBA in Marketing with social work background/Masters in Social Work. Five years of institutional fundraising experience with in an NGO environment. Demonstrable and effective proposal writing skills..
Verifiable and successful institutional fundraising, grant management, and donor liaison/reporting track record. Have won at least 5 international institutional grants. Closing date is 15 February 2019. However, application will be screened immediately upon reaching the above email address. Only qualified candidate(s) will be contacted for requirement process accordingly.